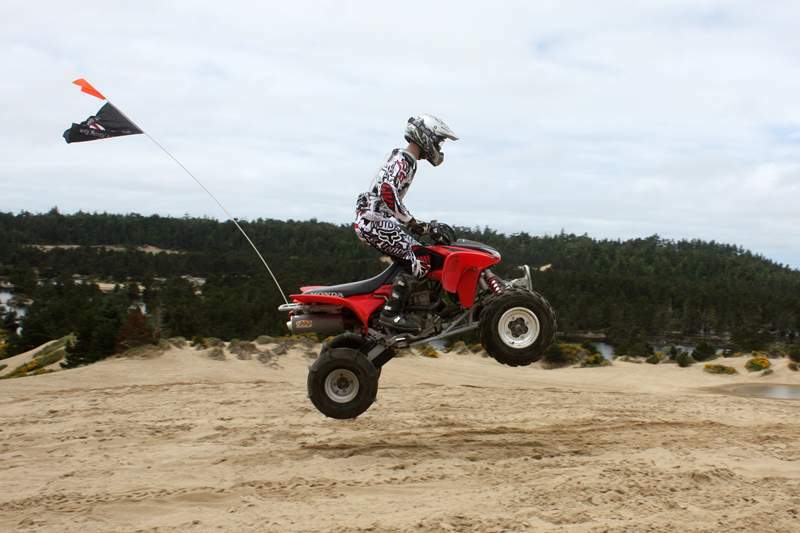 Our family traveled north to the Oregon Dunes for several days of fun in the Coos Bay area. 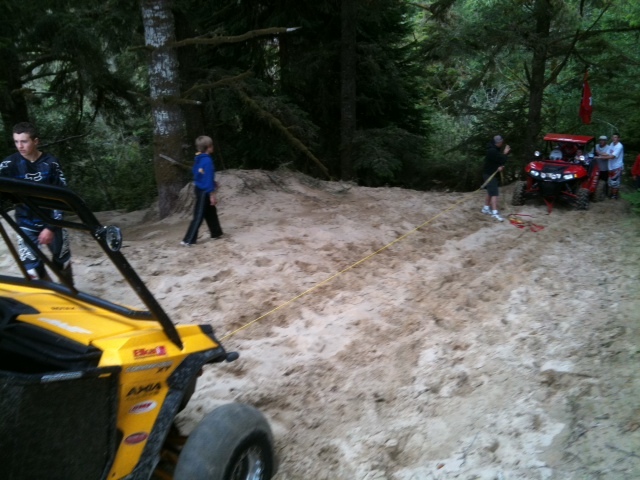 We stayed at the KOA RV Park in North Bend and explored the dunes from the Hauser dune access area. We made a few trips out to the beach. 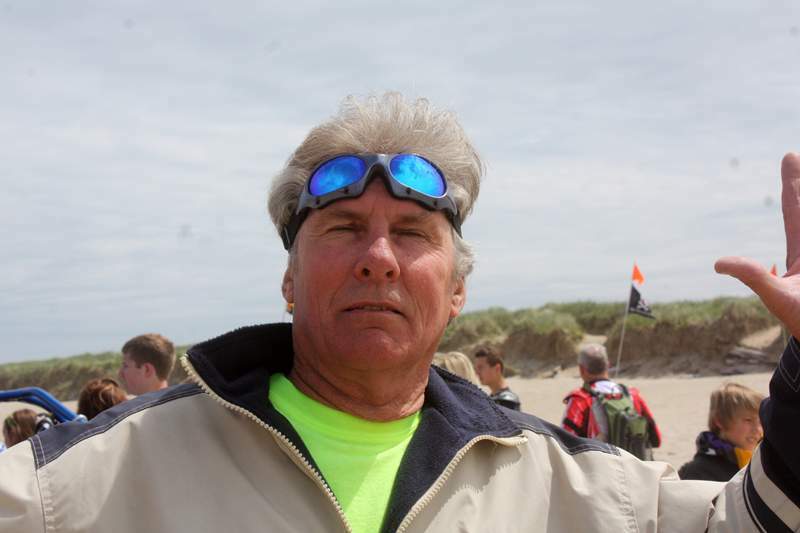 One day we headed north to the Spinreel area and back through the dunes. The next day down to the Horsfall area and back through Bull Run. 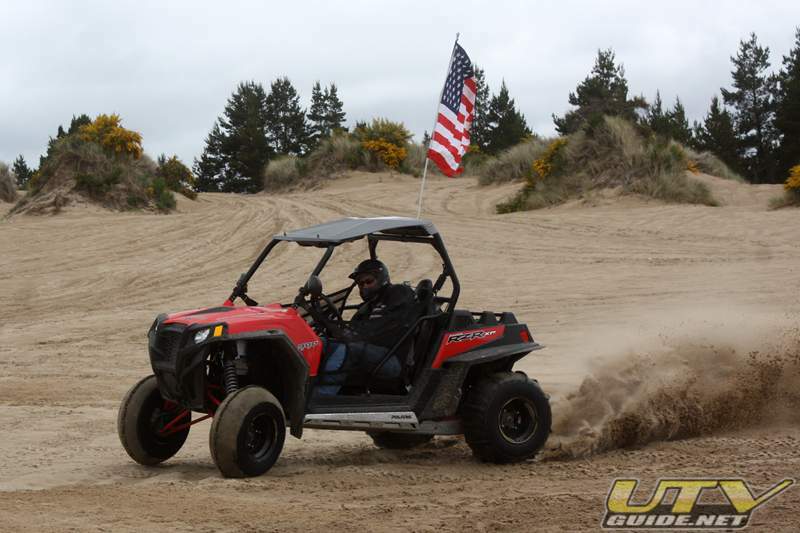 The Coos Bay dunes is the largest riding area at the Oregon Dunes and stretch from Spinreel campground in the north to Horsfall in the south. 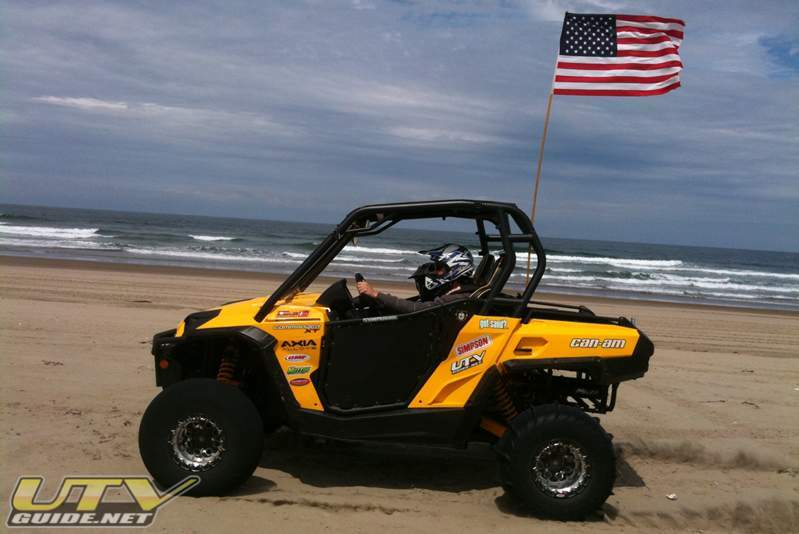 Fullerton Sand Sports sand tires. 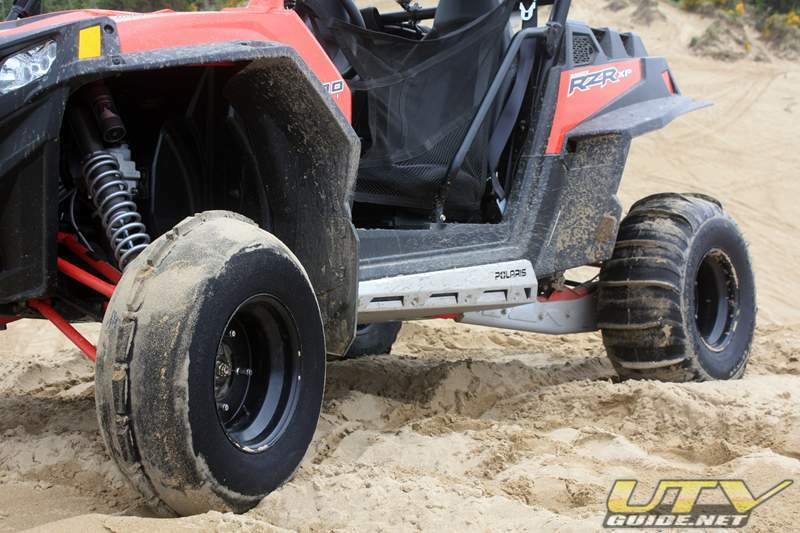 I absolutely love this tire package for the RZR XP. 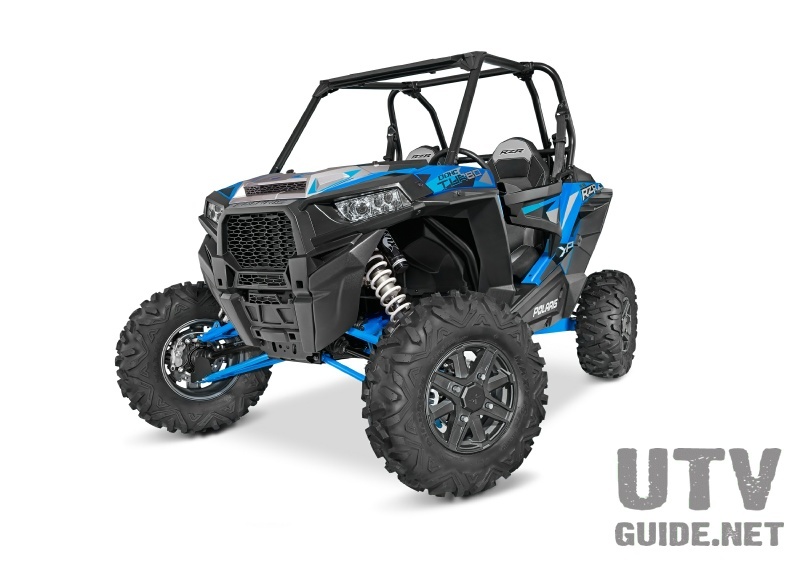 Small razor up front for some help with steering, and the rears are a 60/40 stagger cut STU Sand Blaster. 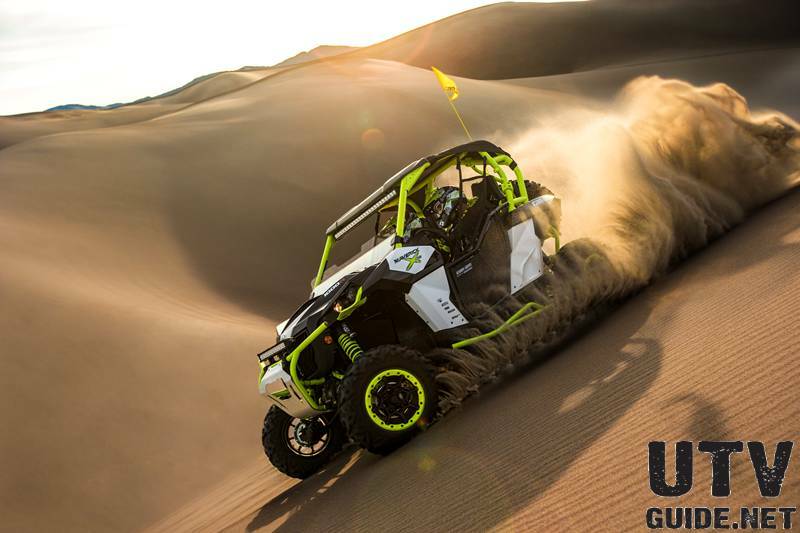 You can run in two-wheel drive anywhere. 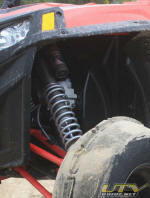 Fox 2.0 RC2 Shocks for our Polaris RZR XP. 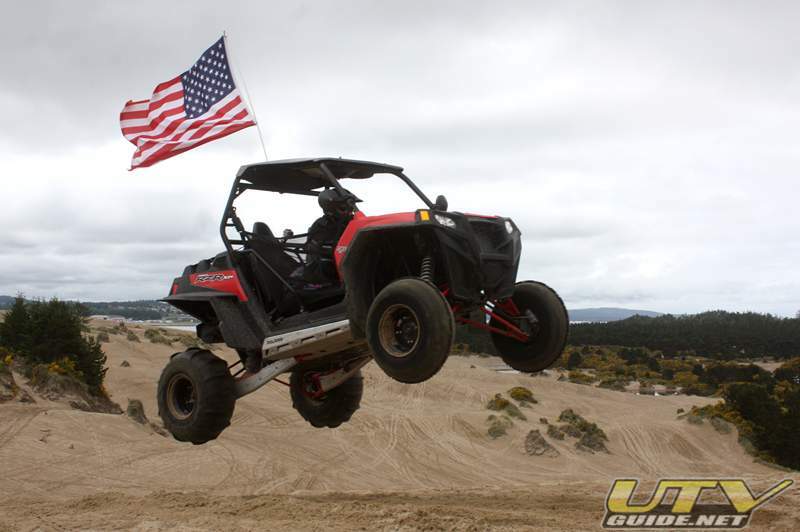 We have swapped out the OEM shocks that have low-speed compression adjust only with some new shocks. 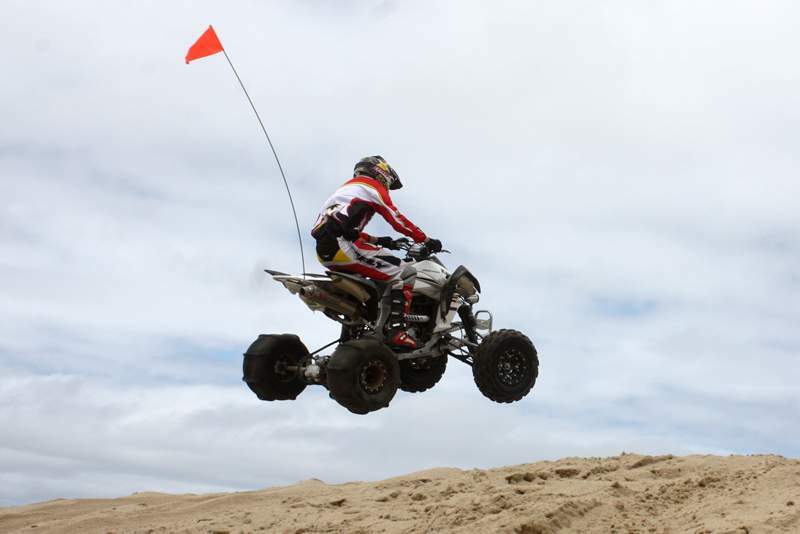 The front are RC2's which have high and low-speed, plus rebound adjustment. The rear shocks have a dual-rate coil spring, with RC2, plus position sensitive dampening. 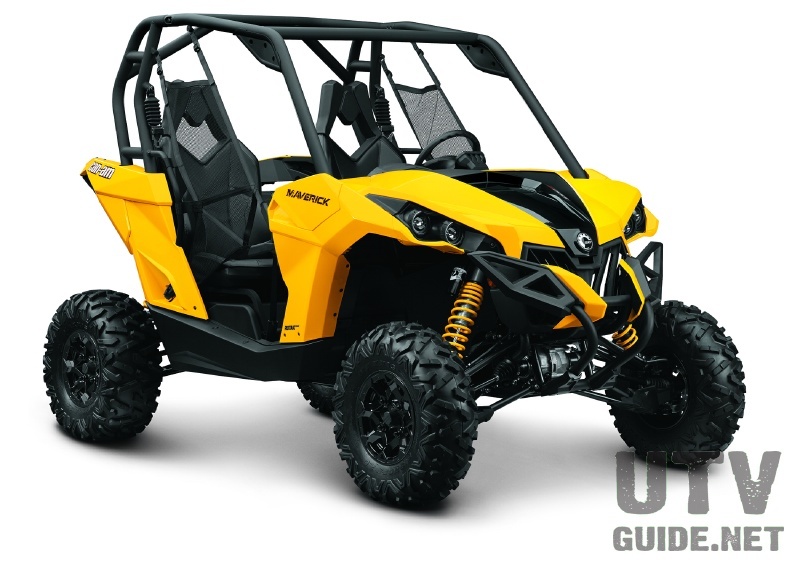 The ride through the whoops is much improved, and the added adjustability is awesome. 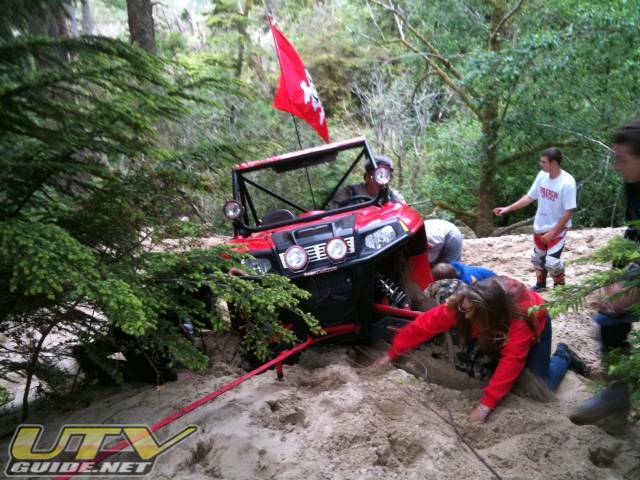 Moral of this story is be very careful with tight trails in the Oregon Dunes. 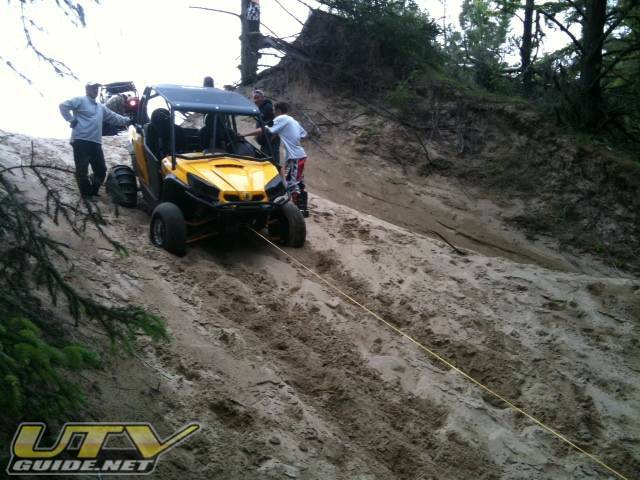 Many are very steep, with loose sand and not suitable for UTVs. 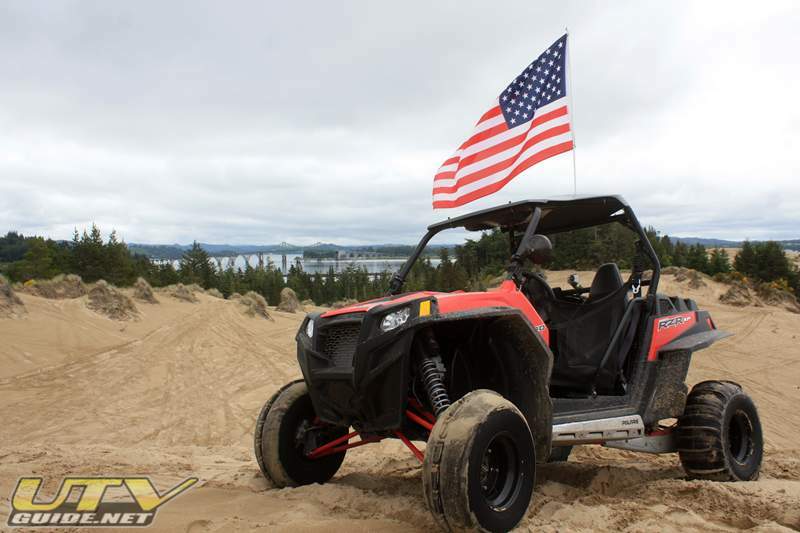 We were able to use the Warn winch on my Commander 1000 XT and several tow straps to not only help anchor the Commander, but also to reach the RZR. 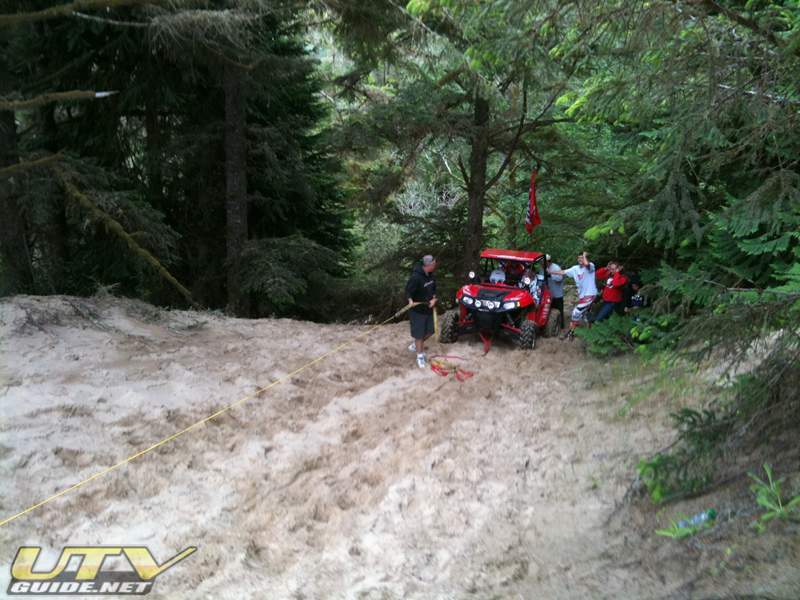 In the end, in addition to the mechanical advantages, it took some digging and a lot of pushing to get everyone out.